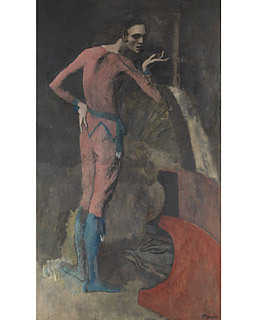 On Jan. 22, a woman taking an adult education class at the New York Metropolitan Museum of Art accidentally fell into The Actor, a 105-year-old painting by Pablo Picasso, causing a 6-in. tear in the canvas. The 4-ft.-by-6-ft. work of art is estimated to be worth $130 million. That's a pretty expensive pratfall, although museum authorities say the painting can be repaired. They hope.